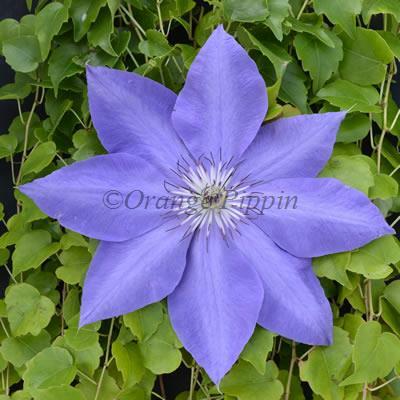 Clematis 'Elsa Spath' bears masses of strong, beautiful violet-blue flowers with deep-red centres from June to September. 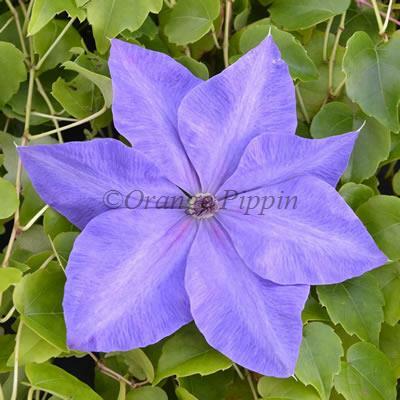 This slow growing, non-evergreen climber can be grown in any aspect of the garden, supported on a trellis, wall, fence arches, pillars, pergolas, clambering over tree stumps and through large shrubs or planted in a container trained up bamboo canes or an obelisk. 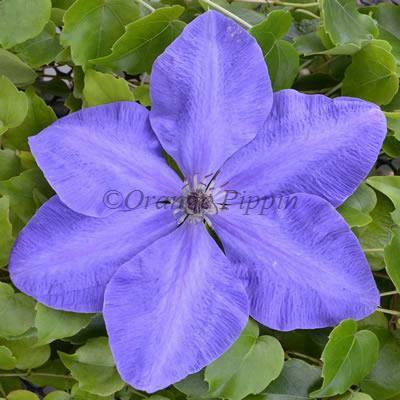 Clematis 'Elsa Spath' was raised by L. Spath of Berlin, Germany.